This entry was posted on June 10, 2016 at 5:16 pm and is filed under Uncategorized. You can follow any responses to this entry through the RSS 2.0 feed. You can leave a response, or trackback from your own site. Fro, yep, I remember Gordy Howe playing into his forties! Those were the days the players wore no helmets. I just read that his career spanned 32 years. 26 in the NHL, 6 in the WHA. That’s one hell of a career, especially in such a physical game like hockey. Fro, you are correct, sir! 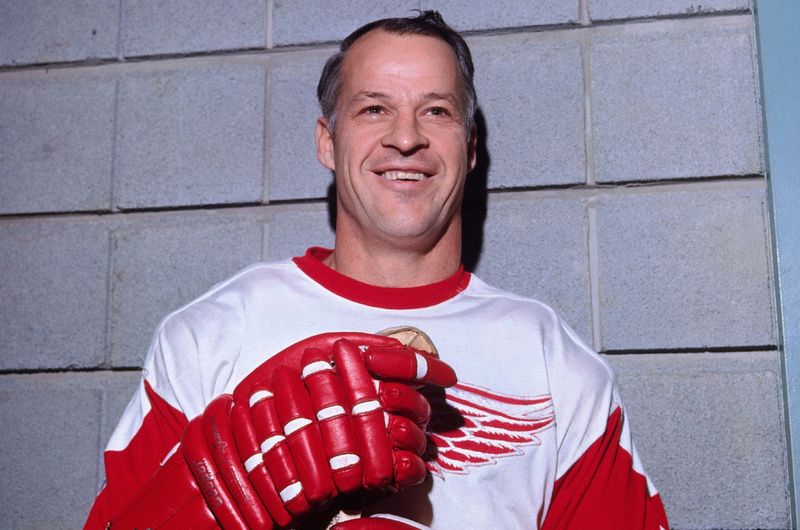 AS a four time Stanley Cup champ with the Red Wings, he wasn’t too proud to be a plank-owner (charter member in Navy-speak) of the World Hockey Assoc.’s hartford Whalers.